I’m not a neat freak by any stretch of the imagination, but I like to keep my photography accessories relatively organized so I can find things in a hurry when the light is right and the shots are really flowing. 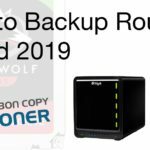 It also makes it easier to move gear from one bag to another and when something is missing from your kit you’re more likely to spot that if it has a usual place. 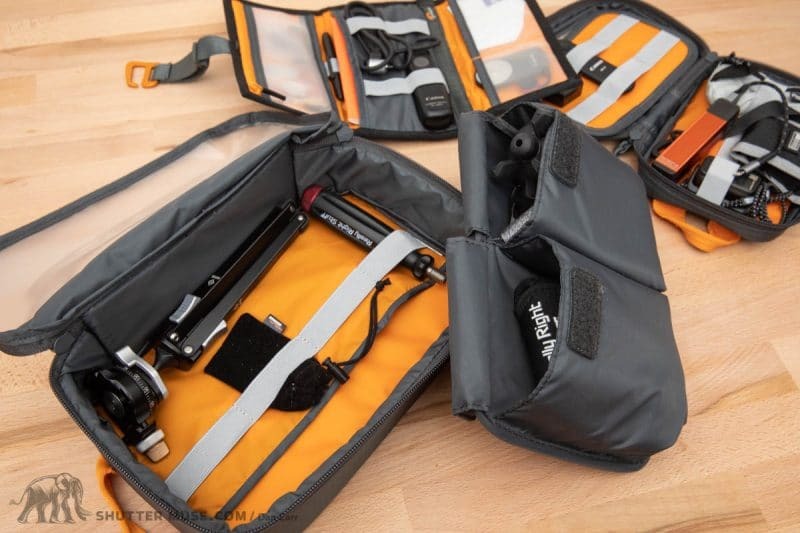 Over the years I have tried a variety of zippered bags and cases, but LowePro’s new GearUp line caught my eye for it’s inclusion of a wrap style organizer, and dedicated cable organizer panels inside every case. 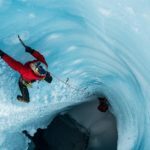 LowePro were kind enough to send over a selection of items from the GearUp line for me to test, so let’s take a closer look and see how they perform. 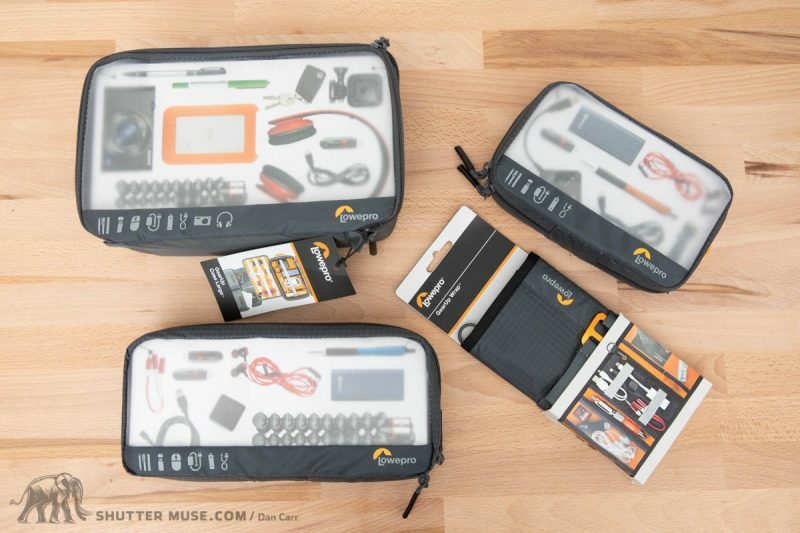 I was sent three GearUp Pouches – Mini, Medium and Large – as well as the GearUp Wrap. There’s also a GearUp Camera Box in the lineup, but I did not get a chance to try that one. 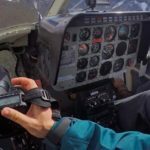 As it happens, when they arrived I was just packing for a flight up to the Yukon so I immediately had a chance to experiment with reorganizing all my gear. I didn’t have much of a packing plan when I started out, but after about 20 minutes of fiddling around with things I had all my usual travel and photo accessories stowed neatly in three of those four cases. 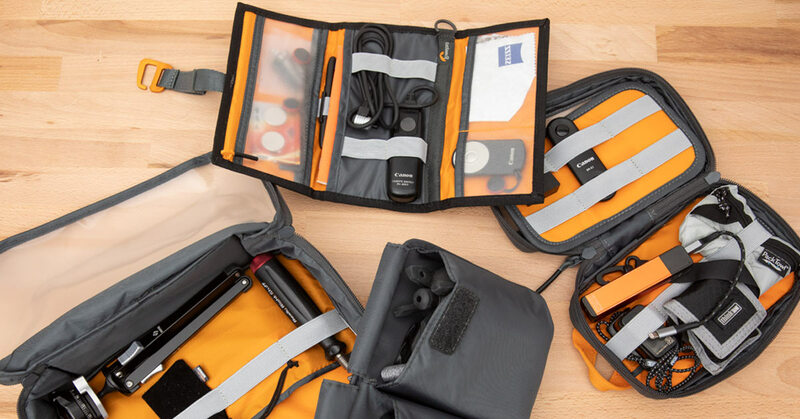 The Large GearUp Pouch features two padded pockets on the rear of the cable organizer. 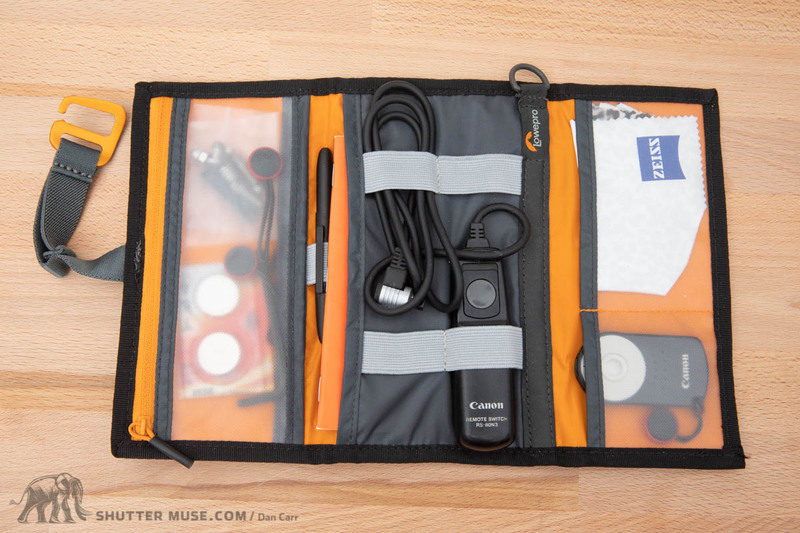 The large Pouch has two padded pockets on the back of the cable organizer and slightly thicker padding on its base, so I decided to use this one in my checked luggage to organize all my chargers, camera straps, tripod accessories and spare camera batteries. It seems like the perfect size for this usage, and I think I’ll continue to use it in this way moving forwards. When I’m packing my gear for a trip I often find that I bring too many items that don’t end up getting used, so I think I’ll experiment with setting a personal rule from now on that I only bring accessories that I can fit into this case. In the end I didn’t end up needing to pack the medium-sized Pouch at all, and I found the longer shape of it to be a bit awkward to pack in my bags. 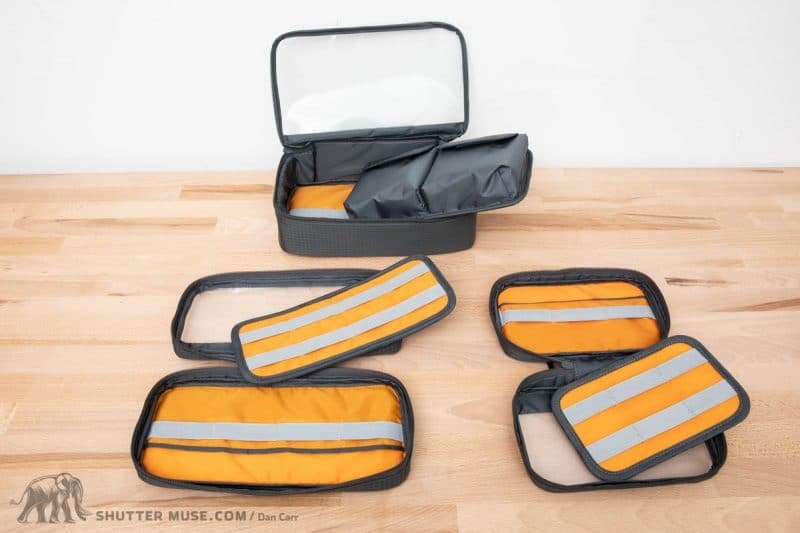 The large Pouch is great for stashing gear in a duffle bag or suitcase, the small Pouch fits vertically into the lens slot on any standard camera bag, and the Wrap can be easily stashed in the lid of a backpack, or alongside the small organizer. 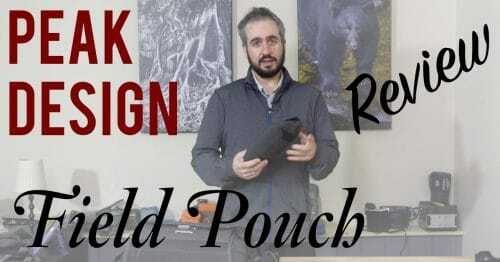 Whilst I didn’t need it this time, I think the shape of the medium Pouch would make it tricky for me to find it a home home in my usual backpacks, where it was too long to store standing upright in the lens slots. If you use a shoulder bag though, which often have room to vertically stand a lens as large as a 70-200, then the medium Pouch will fit a lot better in those. 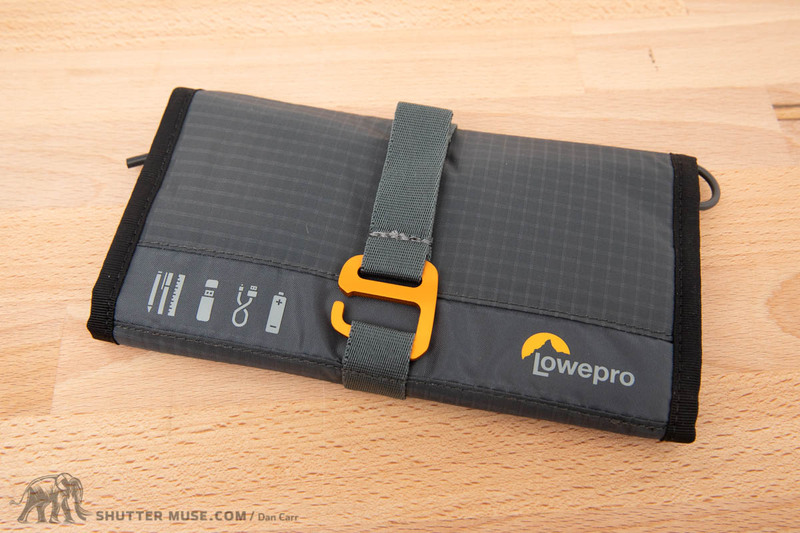 The Wrap has a zippered pocket which can be useful for holding smaller items such as SD cards. There’s a hidden sleeve in the centre that will hold a small notebook. Overall, the quality of these cases is very nice, and I definitely appreciated how lightweight they all are. 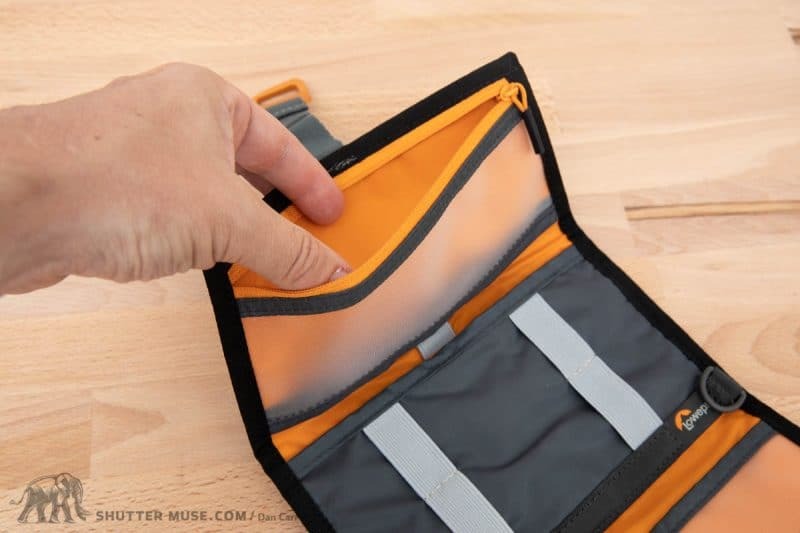 Despite being light, the materials and zipper hardware all feel very durable, and I also like the orange accented design that you may have also seen in my Lowepro Whistler backpack review. 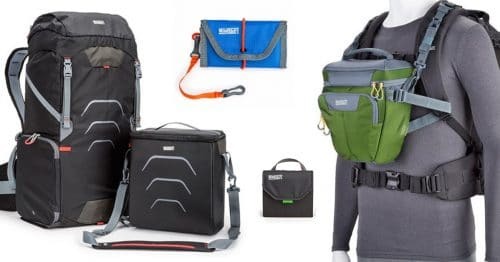 If you have a Whistler pack, or one of their HighLine products, then these are a perfect match. 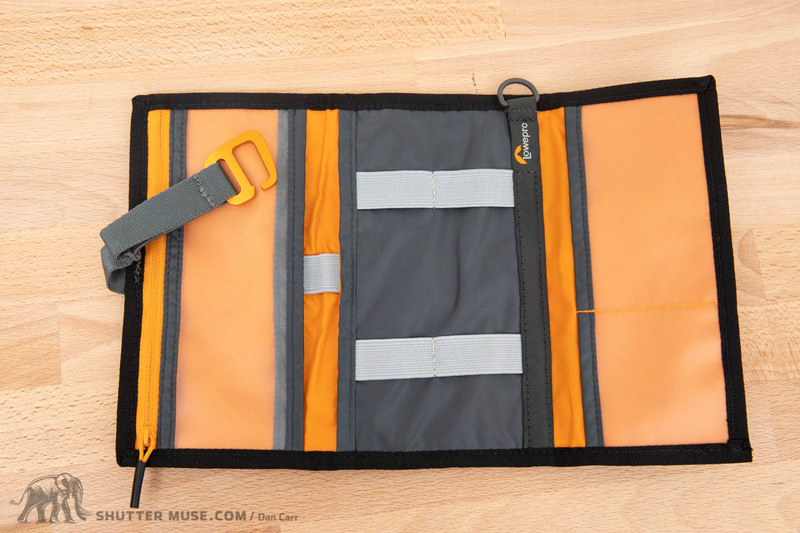 My one gripe with the designs is the inclusion of a large orange nylon loop on the Lowepro GearUp Pouches. It seems like a feature that was added to aid display of the products in a camera store, rather than actually serving a purpose for the photographer. Had the purpose been to provide an attachment point for some sort of leash or strap inside a camera bag, why not just use the small plastic D-ring that is provided so perfectly on the GearUp Wrap? Considering that the other hardware and material choices seem to have had an eye on keeping the weight down, this extraneous feature seemed somewhat out of place to me. It’s just a few grams of additional weight, but I’d probably chop them off. These orange loops on the top seem to serve no purpose past providing a way to hang the bag on a shelf in the camera store. I cant’ see why anyone would ever hang these anywhere else. 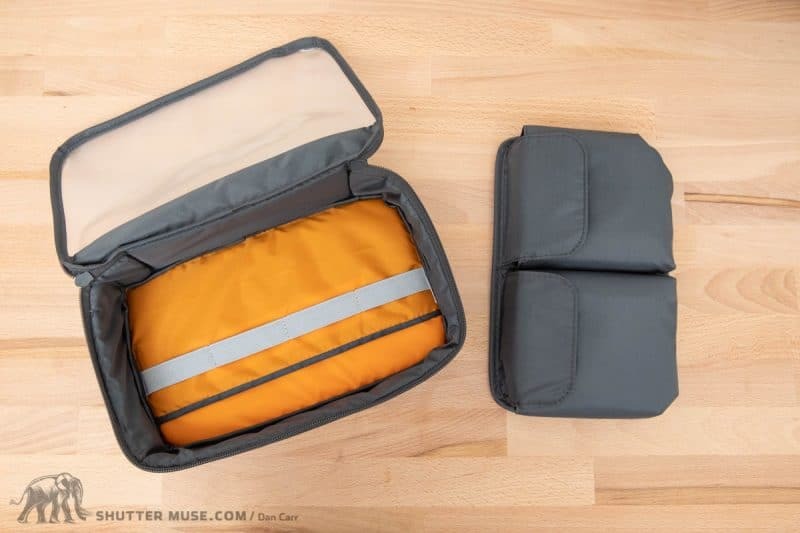 The Lowepro GearUp cases are all extremely useful, but my favourites by far were the GearUp Wrap, the GearUp Mini Pouch and the GearUp Large Pouch. 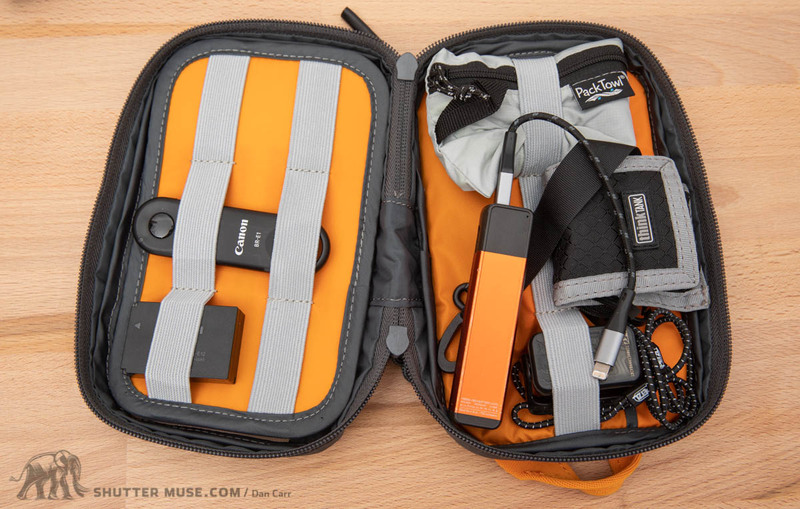 With the Mini and the Wrap, any photographer can organize the things that need to be with them in their camera bag on a daily basis. The constantly needed items go in the Wrap, and the bulkier less often needed items go in the Mini Pouch. 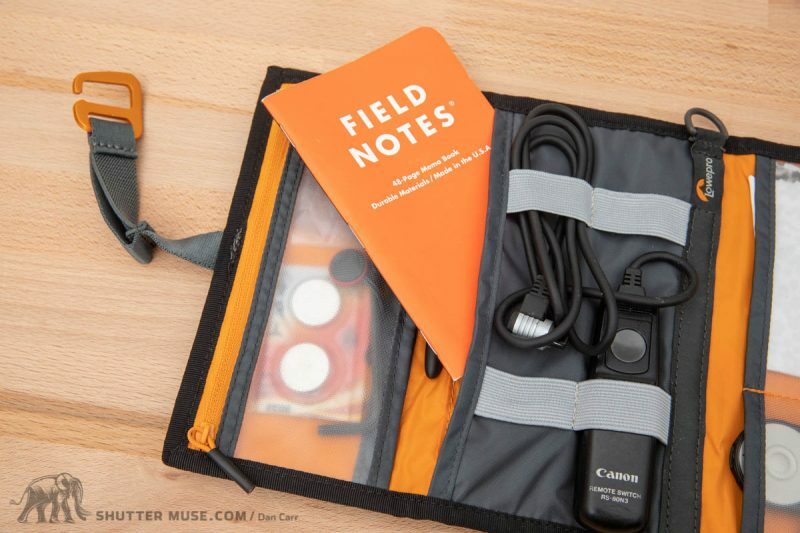 Then, if you travel with your photo gear, the Large Pouch goes in your suitcase or duffle to carry bulkier items such as chargers, tripod heads and extra batteries. 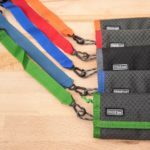 The pricing also seems very reasonable to me, with the Wrap coming in at $19.99, and the Pouches ranging from $19.99 to $34.99. 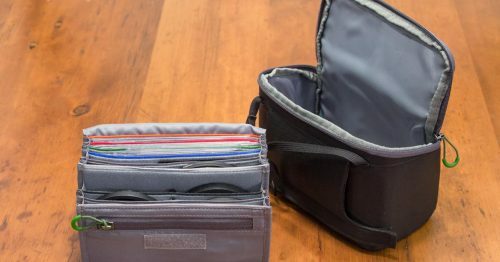 If you’re starting your organization from scratch, that particular trifecta of cases is going to suit most people very well, but any of them individually would also be a great addition to your kit if you find yourself always digging around in the depths of your bags looking for those smaller items. Good to know you would have a use for them! Why would you take them out of your bag though?